The following is the official press release from AFSC on the Cattle Price Insurance Program CPIP. This truly is a revolutionary program that will allow Albertan cattle feeders to hedge some risk. I have not fully investigated the nuts and bolts of the program but I think on the surface it is a great step in the right direction. As Alberta beef producers prepare to move cattle off pasture and onto feed for the winter, many in the industry are glad to see the launch of Alberta’s long-awaited Cattle Price Insurance Program (CPIP) for fed cattle – saying it provides much-needed price protection that could offer welcome relief amid rising feed costs, weak cattle prices and a strong Canadian dollar. “CPIP gives us a tool we can use today to put a bottom price on our cattle and manage our risk going forward,” says beef industry specialist Anne Dunford, who works with producers across Alberta to market their finished cattle. Dunford is general manager of Gateway Livestock Exchange in Taber, and was the senior cattle market analyst at Canfax for more than two decades. Dunford says CPIP fills an important gap in the risk management tools available to producers because it’s made-in-Alberta risk management that gives them a minimum Alberta price for their fed cattle – protecting them from basis risk, which is the difference between U.S. and Canadian cattle prices. “Most risk management tools are based on U.S. futures markets and directly reflect American cattle prices. So when there’s a border or trade issue that sends Canadian cattle prices tumbling sharply below American prices – like we saw with BSE and COOL – these U.S. futures market instruments leave Alberta producers exposed to severe losses caused by basis risk,” explains Jennifer Wood, CPIP Coordinator with Agriculture Financial Services Corporation (AFSC), the provincial Crown Corporation administering CPIP. “By insuring an Alberta price for their fed cattle, CPIP protects Alberta beef producers from basis risk. That’s why the program was created,” says Wood. 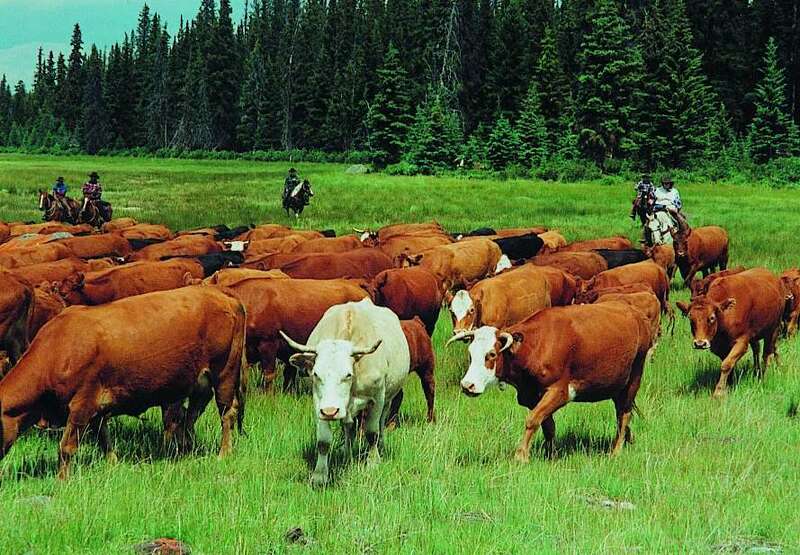 CPIP began taking shape five years ago – not long after BSE closed the border to Canadian cattle – when Alberta Beef Producers sponsored initial research exploring the idea. Since then, Alberta Feeder Associations, Alberta Agriculture and Rural Development, and AFSC have joined in the development of the program. While the first CPIP products target finished cattle, work is underway on a yearling product that will extend coverage to feeder cattle “hopefully next year,” says Wood. CPIP offers Alberta cattle feeders two products: Basis-only Insurance to protect against a widening basis; and full Price Insurance, which covers all three components of price risk – the futures price risk, currency exchange risk, and basis. “It gives Alberta cattle producers a minimum price for fed cattle, so they know in advance the minimum they’ll receive once those animals reach market weight,” explains Wood. CPIP premiums are completely producer-funded and based on a forecast of where Alberta fed cattle prices will be when the policy expires, says Wood. Those Alberta forward prices reflect Chicago Mercantile Exchange live cattle futures prices, Canada-U.S. exchange rates, and a forecast of the Canada-U.S. basis. She says coverage levels range from 75 to 95 per cent of the Alberta forward price. Producers can choose policies from 12 to 36 weeks long. “The policy length should match the time it will take their cattle to reach market weight,” says Wood. Brent Heidecker, co-owner of Coro View Farms near Coronation, says he plans to log on to the CPIP website daily to watch premiums and coverage levels. Heidecker already uses futures and options to manage risk on his 5,000-head feedlot. He says some of the sample premiums he saw earlier this year while CPIP was still being developed were quite attractive. “CPIP will be a good tool to cover our basis risk and an effective way to protect us against some pretty catastrophic risk” such as trade disruptions or border closures, he says. Ross Purdy, senior manager of agriculture and agri-business for the Bank of Montreal in Alberta, says his bank will also be keeping a close eye on CPIP. He says producers who use the program will probably find it easier to access credit when they need it most. “As we all know, prices in agriculture are subject to rapid changes and fluctuations. So if we have two producers – one that has price insurance, and the other not – we will probably have a higher comfort level lending money to the one with insurance,” says Purdy. More information on CPIP is available at http://www.afsc.ca/. This entry was posted on September 10, 2009 at 11:30 pm and is filed under ag policy, cattle, hedging. You can follow any responses to this entry through the RSS 2.0 feed. You can leave a response, or trackback from your own site.